By using a premium credit card or banking services, clients earn rewards and access to special benefits in return for your loyalty. But as banks fight for attention in the competitive reward card space, concierge services are now becoming the norm. With this valuable card perk, the client can have someone else do the heavy lifting involved in luxury. We can locate a hard-to-find gift, make dinner reservations, access sold-out tickets or even conduct research for their next international trip. Personal concierge assistants will do the legwork, reservations or other related transactions with your card. It enhances your clients’ experience, makes them feel like royalty, and elevates your product and client satisfaction. It helps entice new clients and keep existing ones. You don’t need to hire a new concierge team, spend years forging industry relationships,. or build elaborate system; you can outsource the operation to The Sincura Group who can operate a white label service under your name and deliver a professional and market-leading concierge service. Our award winning card services are based on the following principles to ensure we repeatedly come out as the best concierge on the market worldwide. • Having the best senior staff with expert knowledge, from ex Maître-D’s at Michelin restaurants to broadsheet Travel writers. • Having the most advanced technology and behaviour algorithms so you can understand your clients. • Offering a fully global service to support your clients 24/7, 365 days a year, anywhere in the world. Revolut Ltd is a digital banking alternative that includes a pre-paid debit card (MasterCard or VISA), currency exchange, cryptocurrency exchange (Bitcoin (BTC), Ethereum (ETH), Litecoin (LTC), Bitcoin Cash (BCH), XRP (XRP)) and peer-to-peer payments. The London-based start-up was founded by Nikolay Storonsky and Vlad Yatsenko (Credit Suisse / Lehmans) and currently supports spending and ATM withdrawals in 120 currencies and sending in 26 currencies directly from the mobile app. In 2018 Revolut had 2 million users (a rise from 1 million in November 2017) with over 1,000 new members signing up each day. With a company valuation of $1.7 billion, Revolut introduced a top level membership called a “metal card” – offered to their high net worth clients. Included in this package is a worldwide concierge, which is managed and run by Sincura Partner Services, part of The Sincura Group. With the Metals Service going live in August 2018, there are currently over have 80,000 live members, increasing by 5,000 every week. Sincura has a dedicated team of over 17 staff to manage client requests, which stand at over 500 per day. 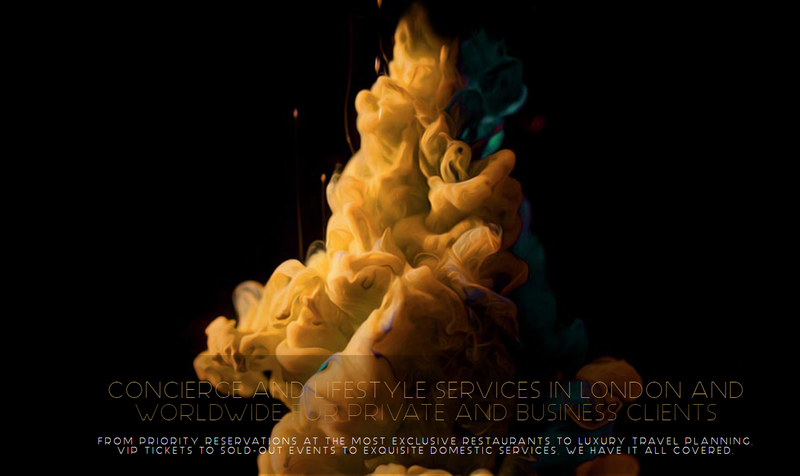 By being powered by Sincura, Revolut Concierge is the only concierge in the world to offer access to numerous events including Glastonbury Festival VIP hospitality, Avengers: Endgame film premiere and fan screening, Hamilton in London, Cannes Film festival VVIP packages and to be donated a complimentary private box at Wembley for use to entertain clients. We have developed our in-house system for over 2 years to efficiently manage and deal with requests. Over 90% of our requests are responded to within 1 minute, and closed within half an hour. Support is offered from our UK team during core hours and our Australia team for out of hours. Our algorithms and behaviour systems help us understand the requests coming in from clients, and foresee future enquiries. We also have full reporting, from response times to categories of requests to feedback from clients. WHY CHOOSE SINCURA CARD SERVICES? We hold an unparalleled reputation in the industry, heightened by the fact that we were voted London’s Concierge Company of the Year. The Sincura Group maintain excellent client retention with many of our clients join us as unhappy members of rival concierges. • Our friendly and highly skilled team are hand-picked from the industry as experts in their fields. • With our unique contacts and the weight of the clients we represent we hold unrivaled access from the best tickets to priority table bookings. • We give you an insight into your clients that no-one else can. • The Sincura Group already provide services for some the most prestigious corporate clients in the capital and have a tried and tested model that works. SINCURA IS THE MOST TECHNICALLY ADVANCED CONCIERGE SERVICE ON THE MARKET. Most concierge companies use off-the-shelf Customer Relationship Management system such as Salesforce to manage their client requests. We decided to do things differently, to develop our own systems, systems built for our requirements rather than us working to the systems' requirements. They took 4 years to develop and constantly evolves to our needs. Our technology team hailed from the financial services working on projects such as FastWire for The Bank of England (the world's fastest message switch which processes over 5 million finances messages per day) and eCommerce and trading systems for leading banks including Nomura, Credit Suisse and UBS. The systems allow us to log, categorise, manage and process requests quicker than anyone else, manage finances including sales and invoices, identify client behaviour, manage support and feedback, and generate reports for you. The systems are secure and scalable and branded to your needs including the systems, phone apps, emails. NO OTHER CONCIERGE CAN OFFER THE RESPONSE TIMES OR CLIENT ENGAGEMENT WE DO. THE AVERAGE TIME TAKEN FROM RECEIVING A NEW CONCIERGE REQUEST TO LOADING IT IN THE SYSTEM, CATEGORISING IT, ALLOCATING TO THE CORRECT TEAM AND NOTIFYING THE CLIENT IT IS NOW BEING PROCESSED IS LESS THAN 1 MINUTE. OVER 30% OF REQUESTS ARE FULLY CLOSED WITHIN 10 MINUTES, OVER 99% WITHIN 1 BUSINESS DAY. Many concierge companies outsource requests to third parties, this takes time and means your service levels are in the hands of others. You are trusting your reputation to hundreds of partners who may not value the service the way you do. We do things differently, with specialist in-house teams of experts in everything from restaurants and travel to tickets and well-being. It means your request is always handled in-house by an expert to the same high standard. Our personable and highly trained team are hand-picked experts in their respective fields, from ex Maître-Ds at Michelin restaurants to travel writers and hospitality managers. We operate 24 hours a day, 365 days a week, with support switching between our UK and Australia office. All of our staff complete extensive training in everything from using the systems, to data safety, to how to conduct with clients. We are a fully multilingual team. Our feedback, client experience and response times are second-to-none. As an example, Ten Lifestyle who manage the concierge for the likes of RBS, Couttes and Barclays premium card holders, say they will acknowledge your requests within 3 hours. We don't believe that's anywhere near good enough - our average time to load, allocate and notify the client of their request is under 2 minutes - and in 3 hours time with us your clients will be tucking in to their dinner at the exclusive restaurant that we booked for them singing your company praises. Clients are kept abreast of their requests through all stages, with regular updates as we work on their behalf. We constantly seek feedback from clients to improve the service, and third party experts review our working practices from the wording of emails to client engagement. KNOWING YOUR CLIENTS IS KEY TO DEVELOPING YOUR SERVICES. AND NO-ONE CAN DO IT LIKE US - OUR COMPLICATED ALGORITHMS GIVE IN INSIGHT INTO YOUR CLIENTS' BEHAVIOR FROM THE TYPES OF REQUESTS THEY LOG, TO IDENTIFYING YOUR GOOD AND BAD CLIENTS. We rely on client feedback to modify and improve the service. After each closed request the client is sent a feedback form to rate the service from response times, to quality of response, to the venue. And we are very proud of our results - with over 90% being positive - the best in the market. You will receive system logins which allow you to monitor in real-time the status. Morning and evening reports are generated each day to see trends, volumes, and statistics. Each month an in-depth 20 page report is produced covering everything from trends and behaviour, to user engagement and feedback, to financials and sales, to staff and team productivity. We also highlight the strengths and weaknesses of the month and identify changes for the coming months. We also hold regular meetings with your team to discuss the project in more detail and understand your feedback. WE CAN BUILT ELABORATE MEMBER PROGRAMMES FROM EXCLUSIVE DEALS JUST FOR YOUR CLIENTS. • Bank and Credit Card Companies: We represent major banks and credit card companies to manage the concierge requirements of their premium members. • Serviced buildings: We provide front-of-house concierge staffing for serviced buildings both residential and businesses. • Corporate staff incentives: Companies offer our services to their staff to help manage their personal lives as a staff incentives. With a more balanced home/work life this increases productivity and reduces absenteeism. • Membership and reward schemes: We provides a reward and incentive scheme for loyal clients, such as casino rewards for top level spenders. • Relocation companies: We provide a service for clients moving to London to help them integrate into the capital. • Management and PA agencies: We complement existing management agencies to look after their clients, from PA’s who need access to venues they do not hold contacts with to large management agencies who would like to offer their clients enhanced services. • Company services: We provide our services to companies for such things as client entertainment, events, staffing solutions, PR, introductions and marketing. • Airlines and private jets: We provide our services to international jet companies to complement their service and offer their clients itinerary buildings and an immediate concierge at their target destination.